The Irish Funds London Alternative Investment Seminar will take place on Wednesday, 18 April 2018. This seminar is free to attend. You can find agenda details further below. 14.40 - Keynote Address: Brexit- what's next? 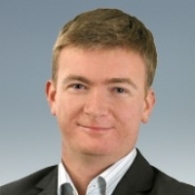 Lorcan Murphy is Managing Director of ACOLIN UK & Ireland. ACOLIN is a pan-European distribution administrator helping fund managers to develop new markets – cost-efficiently and quickly. The ACOLIN team assist fund managers in entering new markets by managing a network of distribution relationships and providing insight into market structure and practices. ACOLIN is also the leading independent Swiss Legal Representative, helping fund managers distribute in Swizterland. 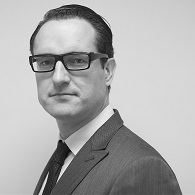 Prior to ACOLIN, Lorcan was Head of Private Wealth & Retail EMEA at Barclays Global Investors, where he managed business development and product launches across a range of geographies and product types. Lorcan studied Economics at Trinity College Dublin, and worked as a Chartered Accountant with KPMG in Dublin and San Francisco. 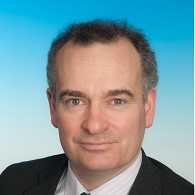 Killian Buckley is a managing director at Duff & Phelps. He is responsible for regulatory consulting services and acts as a Designated Individual to UCITS fund clients in addition to performing MLRO functions, as well as generally advising Irish and international clients on Irish regulatory issues. Killian has also advised on numerous fund launches, with a client portfolio ranging from small boutique investment houses to larger institutions. Killian has multi-jurisdictional experience, with particular knowledge of Europe and offshore domiciles, and also provides corporate and strategic advice to investment management firms. 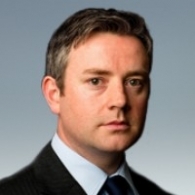 A graduate of Trinity College Dublin and the Michael Smurfit Graduate School of Business, Killian is co-chair of the Irish Funds Industry Association Marketing Committee and sits on its Alternative Investment Fund Managers Directive steering group. 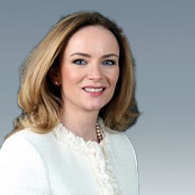 Gayle is a head of the Irish Asset Management and Investment Funds Group of Pinsent Masons, an international law firm with 24 offices across 4 continents. She has over 16 years' experience advising prominent international asset managers in relation to all aspects of Irish regulated UCITS and alternative products and has a particular expertise in relation to cross border mergers. 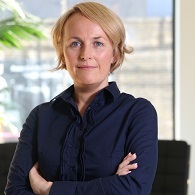 She advised on the first re-domiciliation of a Jersey fund into Ireland and on the cross border merger of two money market fund platforms, which was one of the first mergers effected under the UCITS IV procedures and was one of the largest European cross-border fund mergers. Gayle also provides AIFMD advice to offshore managers looking to sell into Europe. Gayle is the outgoing Chair of the Irish Funds Legal & Regulatory Committee and sits on the Irish Funds Brexit Steering Group, which liaises with the Central Bank, the Irish Government and European bodies to represent the interests of the Irish funds industry. Gayle holds a master's degree from Oxford University. Donnacha O’Connor is a partner in the financial services team of Dillon Eustace where he advises primarily in the areas of investment fund and investment services regulation. 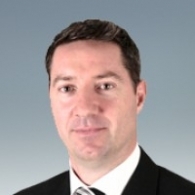 Donnacha joined Dillon Eustace in 2001 from an institutional asset management firm. Dillon Eustace is a leading Irish law firm in this area, is headquartered in Dublin and has offices in the Cayman Islands, New York and Tokyo. Emmett Kilduff is the founder and CEO of Eagle Alpha. Eagle Alpha was incorporated in September 2012 with the sole purpose of enabling asset managers to obtain alpha from alternative data. There are four parts to its offering: data sourcing, data analytics, bespoke projects and a data forum. Clients include quantitative funds, discretionary hedge funds, traditional mutual funds, sovereign wealth funds and private equity firms. Prior to founding Eagle Alpha Emmett was an investment banker with Morgan Stanley and Credit Suisse. Morgan Stanley was the first investment bank to launch a big data offering within its research department - that was the original inspiration for Eagle Alpha. Emmett has a Masters in the Internet and a Bachelor's degree in Business and Law. Graham is responsible for the investment management of Davy non-proprietary Loan Origination Funds and sits on the Board of several regulated investment funds. He is a member of the Irish Funds working group which has responsibility for “Real Economy Investments”, which spans Loan Origination, Real Estate, Private Equity, Infrastructure, and ELTIF’s. Graham has in excess of 25 years’ financial services experience and previously worked in RBS Group at Director level and formerly headed a Business Centre for Ulster Bank in Dublin. He has extensive experience of managing cash-flow and asset backed credit exposures through the full credit cycle, including loan origination, portfolio management, underwriting, restructuring and recoveries. Graham has a Bachelor of Financial Services Degree from University College Dublin and is a Fellow of the Association of Chartered Certified Accountants in Ireland. 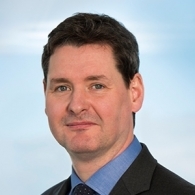 Graham also holds Diploma’s in Corporate Finance and Insolvency, a Professional Certificate in International Investment Fund Services and is a Qualified Financial Advisor. 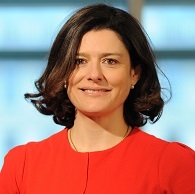 Miriam González is co-chair of law firm Dechert LLP’s International Trade and Government Regulation practice, advising clients on Brexit, trade policy, trade agreements, sanctions and embargoes, export controls, antidumping, foreign investment proceedings and EU internal market regulations and infringement proceedings. She previously served seven years as a Senior Member of the Cabinet for EU External Relations Commissioners Chris Patten and Benita Ferrero-Waldner, where she had responsibility for EU relations and trade with the Middle East, the U.S. and Latin America, as well as being a FCO adviser during the UK Presidency of the European Union. Miriam is currently a Non-Executive Member of the Board and Chair of the Audit Committee of UBS Limited and a member of the International Advisory Board of the Instituto de Empresa in Spain. Miriam is also the Founder and Chair of Inspiring Girls, a charity dedicated to raising the aspirations of young girls around world by connecting school girls and female role models. The campaign has been launched so far in Serbia, Spain, Italy, Brazil Chile, Mexico and Colombia with several more countries in the pipeline for 2018 and beyond. Ms. Morjaria joined Amber in 2017 as Group General Counsel and Chief Compliance Officer. Prior to Amber, she was an Executive Director and Senior Counsel at Goldman Sachs in the Investment Management Division, where she led the funds legal team for Goldman Sachs Asset Management in EMEA, focusing on UCITS, hedge funds, private equity and alternative investments. Prior to joining Goldman in 2010, she was senior legal counsel at the hedge fund CQS and Vice President at Merrill Lynch where she was the lead lawyer for the Structured Solutions, Funds and Alternative Investments Groups. 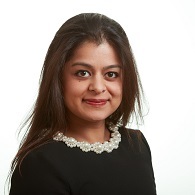 Ms. Morjaria began her career at Linklaters, where she qualified into the Derivatives and Structured Products Group, working in London and New York. She earned her BA(Hons) in Law from St Catharine’s College, Cambridge University. 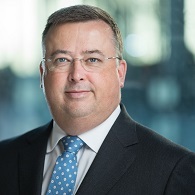 Prior to joining Mercer, Rupert was Head of Asset Allocation at Skandia Investment Group and previously worked as a fund manager at Black River Asset Management, Goldman Sachs Asset Management, Investec Asset Management and Merrill Lynch Investment Management. Rupert began his career at the Bank of England. Rupert has a first class economics degree from Edinburgh University and is a Chartered Financial Analyst (CFA).